Watching a movie is not complete without the right ambiance, comfort level and a bowl of fresh popcorn. Since the evolution of cinema, we have a come a long way from single screen cinema theaters to multi-screen multiplexes. The way to experience a cinema has upgraded and people tend to spend more time on the ambiance itself than mere watching the movie. 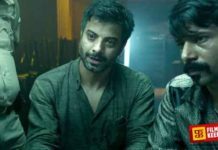 Yet, most of us are accustomed to watching movies in a typical, stock-standard movie theaters, irrespective of the fact, whether it’s a single screen or multiplex. 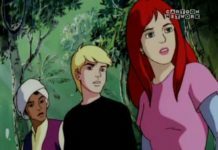 However, most of you will be surprised to know that there are a few exceptions when it comes to watching cinema. 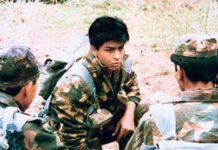 In addition to these typical, boring, stock-standard movie halls, we also have some of the coolest movie theaters across the globe, where you just don’t watch a movie but experience it. These interesting movie halls are spread worldwide and that would be quite a challenge to experience a movie at each. 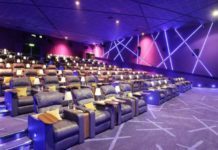 However, keeping this list stored on your bucket-list, you can always make sure to watch a movie at one of these coolest cinema halls whenever you are nearby any of them. 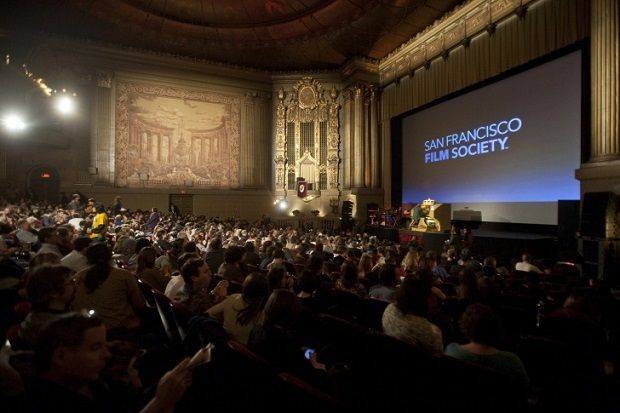 Being the first multiplex in San Francisco, Sundance Kabuki has been the host for several film screenings for San Francisco International Film Festival and San Francisco International Asian American Film Festival. The multi-screen theater is highly popular for its posh ambiance as well as its upscale bars and high-class restaurants for the pre as well as post cinema experience. The movie theater also hosts the performances by the San Francisco Opera. 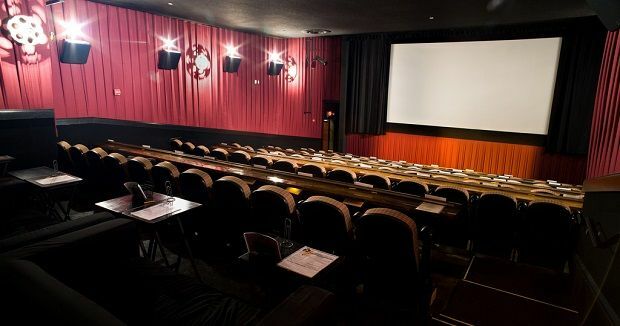 Alamo Drafthouse is an American cinema chain founded in 1997 in Austin, Texas that boasts about its strict policy of cinema going etiquette. Offering the great state-of-the-art surround sound system as well as cherished with a gourmet beer and Tex-Med food right at your seat, there’s no way this movie theater could have been left out of the list. Due to its great ambiance and cinema experience, the theater chain has expanded to a good number of locations all around Texas. Cine Thisio was built in 1935 at Athens, Greece replicating the ambiance of the Acropolis and the Parthenon. It is opened to the public from April to October. 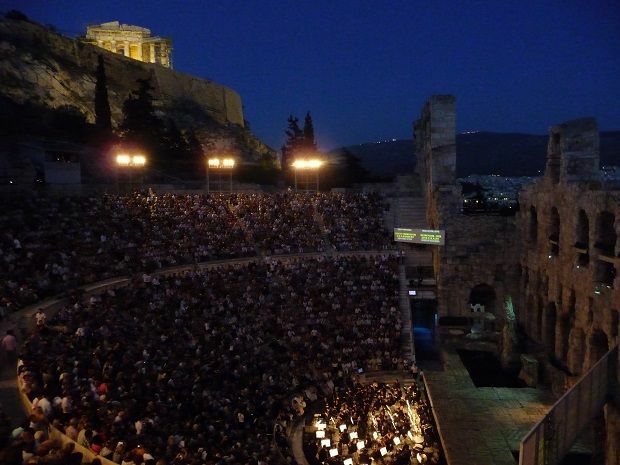 Although Athens is a hub for many different outdoor movie theaters, nothing is as magnificent as Cine Thisio. Offering the best view at night, the movie theater doesn’t just give an unforgettable experience but also the amazing view of the Acropolis, and the Parthenon at the top. 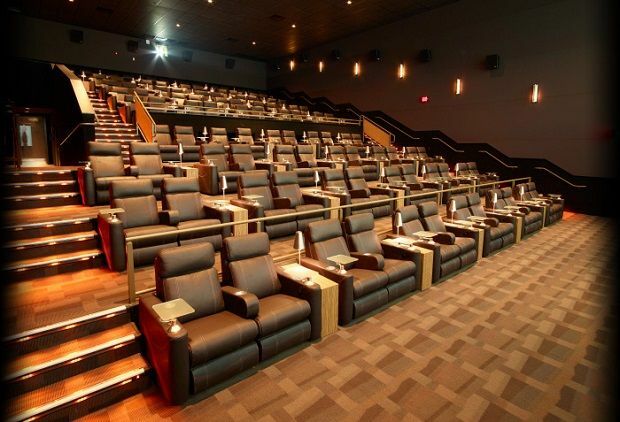 If you are looking for luxury at a cinema apart from a brilliant movie screening experience, then try out the Cinepolis Luxury Cinemas in La Costa, California. Everything from reclining leather seats, waiter service for gourmet snacks like salads, flatbread, pizzas, cheesecakes and, of course, the “zebra” popcorn covered in white and dark chocolate. Need a foot massage while you watch a movie. Then, try watching a movie at Nokia Ultra Screen in Bangkok, Thailand whenever you get a chance. 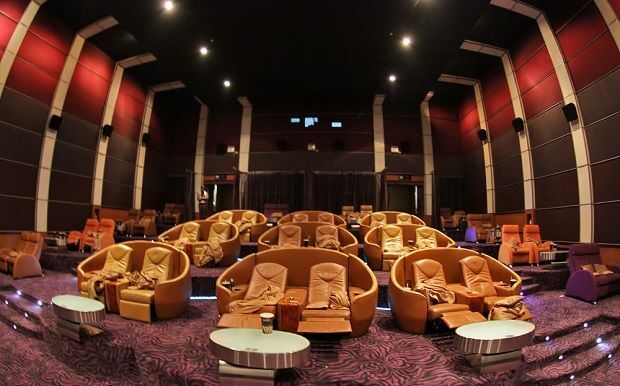 The theater offers motorized reclining seat along with free snacks in the theater’s VIP lounge in addition to a complimentary foot massage for a stress-free cinema experience altogether.